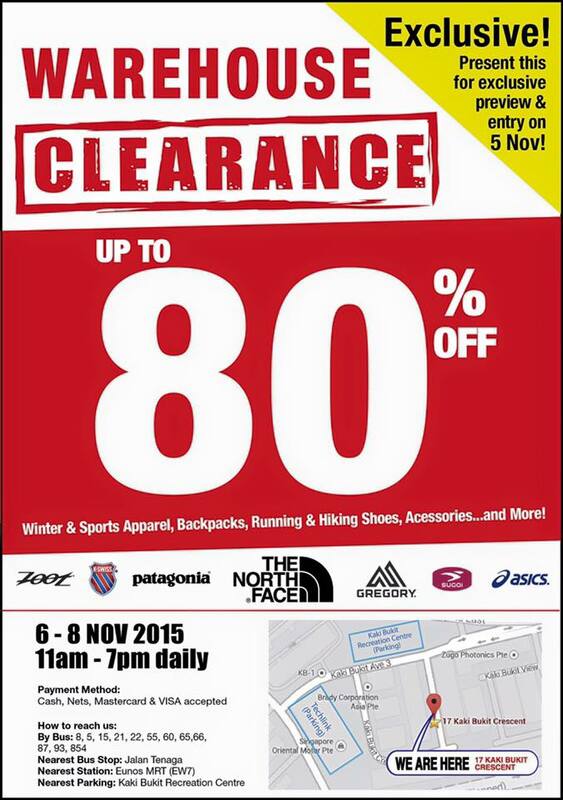 There will be an oncoming warehouse sales for brands like patagonia, north face, gregory and asics on the 6-8 Nov 2015, located at 17 Kaki Bukit Crescent. They have this sneak preview on 5 Nov. I don't really know what it is but my guess is for you to see what items are going on sales the next few days. I wonder if they allow you to buy anything on that day. The location seems to belong to Outdoor Venture who runs the retails stores of The North Face, Liv Activ and Running Lab in Singapore. Hope they have a wide range of products on sales. You could take this as an opportunity to do some early christmas shopping. Haha.